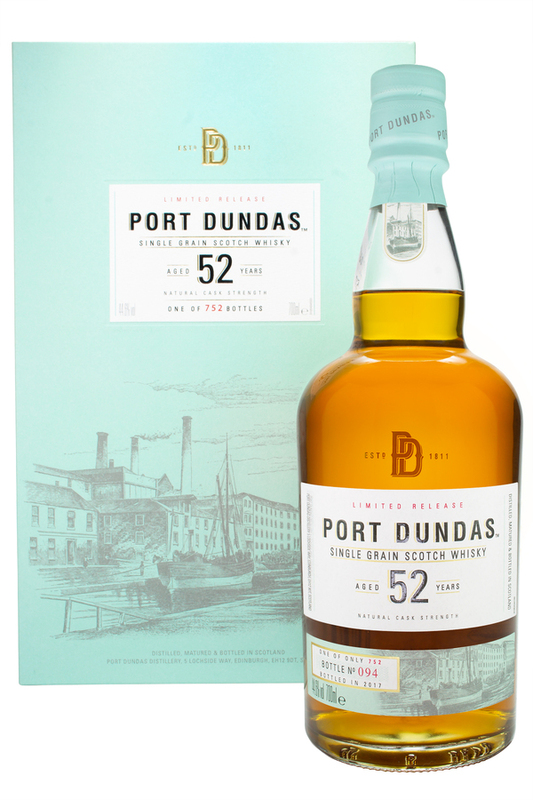 Part of Diageo's 2017 Special Release, and the oldest release in the series to date, this single grain whisky was distilled in 1964 at Glasgow's lost Port Dundas distillery, formerly Scotland's largest distillery. Aged for more than half a century in refill American oak hogsheads, only 752 bottles were produced. Butterscotch and fruits on the nose, leading to a sweet, creamy palate with notes of honey, spiced pastry and dreied fruit. The finish is long and warming with oak and peach lingering.